Who doesn’t want to be more productive? Productivity allows you to be in control of your day and it’s the driving force behind building the business you desire. Productivity takes many forms and is impacted by many factors. While there is a lot of theories on how to be productive, there is no one formula that fits all. You have to figure out what works best for you. 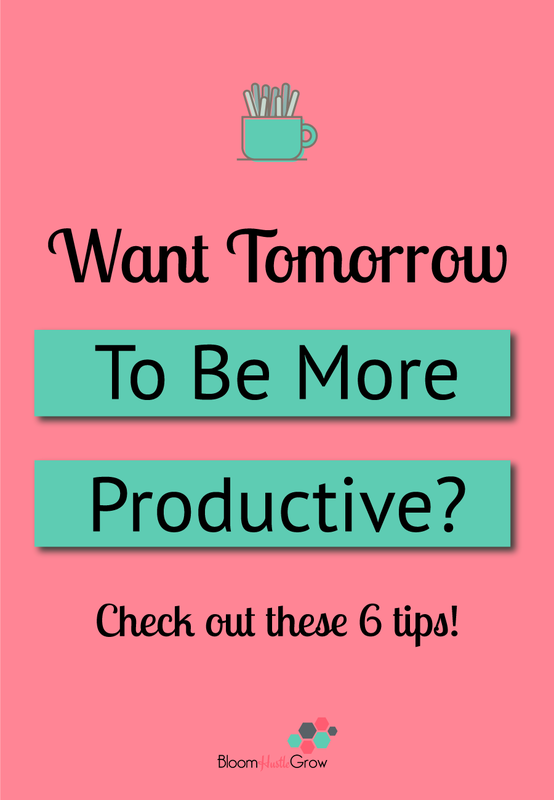 Want tomorrow to be more productive? Check out these 6 tips! Each night take a few minutes to plan out your tomorrow. This allows you to start your day with less decision making, the ability to better resist distractions, and a sense of purpose and direction. Planning out your tomorrow can come in many different forms. You can go full on scheduling where you plan out your full work day, or you can simply pick the top 3 tasks you will tackle. There is no “right” way, it’s what works for you, but there is a “wrong” way if you have no clear direction for what your tomorrow will bring. Me? I like to plan the full day out, but with a little flexibility. I typically give myself blocks of time for projects and then a choice of what I will work on to fit my mood. This allows me to avoid staring at the screen when a task simply won’t come to me (for me that is usually blog writing). 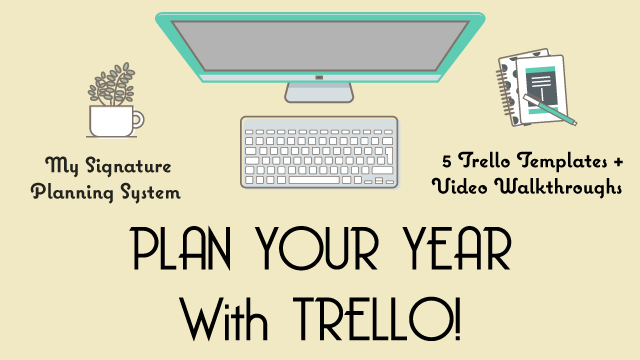 Check out my planning process in this post! The concept of eating the frog is to tackle your most important or most challenging task first thing in the morning. Eat the frog is suppose to be those tasks that cause distraction because we know we have to them, but we are also avoiding them. Typically there are fewer distractions in the morning, and you can more easily focus on what is in front of you, as opposed to worrying about what still needs to be done as the end of the day approaches. There is also evidence that we tend to be more focused in the morning before decision fatigue has set in and all the other stressors of the day have had a chance to wear us down. It boosts your productivity for the day. Getting to cross that “big” item off your list will automatically boost your feeling of accomplishment, which is more likely to lift your mood and productivity for the next task on your list. You know, that feeling of “YES, today is going good, look at what I’ve already gotten done. GO ME, GO ME”. It clears the mental clutter; it gets that worry off your mind so you can focus on the next task. This applies in particular if your “frog” is something you dread doing but know you have to get done. Do you get sucked into tv? 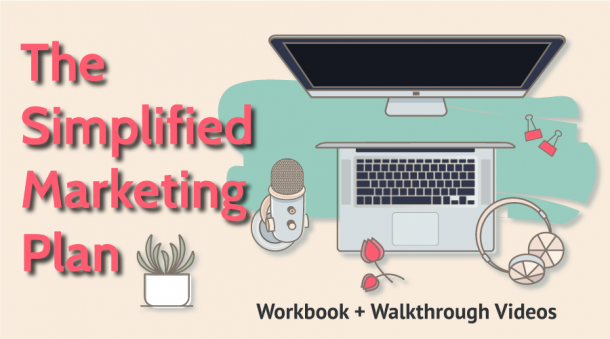 Try working in a room without a television, set a daily tv limit, unplug the tv, try music, try working from a coffee shop, outside, or coworking space. Turn off notifications on your phone and computer. No one is judging you if you don’t respond to that Facebook comment within 5 minutes. Every notification you get is making you less efficient at the task you are performing because it is breaking your focus. Schedule times to get on social media, email, phone calls, etc. If you find yourself picking up your phone repeatedly to “check it” move your phone to another room or at least off your desk. Plan in distractions. Do you get distracted by housework that needs to be completed? Try planning to do 30 minutes of housework after lunch or schedule in some at the end of your work day. That way you aren’t as distracted by the fact it’s there to do because you have a plan for it. This works for social media and other tasks we can easily let consume our days. Switching between tasks has been shown to decrease efficiency and lead to mental fatigue. Our brains work better when focused on one main task. While this concept works better for our brains, it can also save time because you don’t have to take up time setting up for new tasks. For instance, you probably use different tools for drafting a blog post, posting to Instagram and making a graphic. 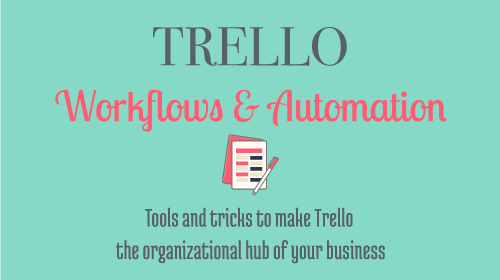 By focusing on tasks that require the same setup, you will automatically save time. While we should avoid distractions and work in a focused manner, part of the working process is also to recognize the need for breaks to stay at our optimal performance levels. There is a lot of scientific studies around attention spans and what work periods are optimal. Figure out what works for you concerning timing, but to stay at your optimal focus levels, you do need breaks regularly. Some studies found that having just a few second break every 20 minute will make you more focused, where another study focusing on top performers, including musicians, athletes, actors and chess players recommends 90 minutes of work with 15-minute breaks. A general rule to follow is to have a 15-30 minute break every couple of hours of work. My favorite way to work + break is using the Pomodoro technique, which I find helps with focus. The basic Pomodoro is working in 25-minute sprints with a 5-minute break, and when you have finished 4 rounds, you break for 15 to 30 minutes. You can read more about the magic of the Pomodoro technique in this post. As solopreneurs, we are our businesses. Our business depends on us being at the top of our games. An important part of being able to be efficient and productive is taking care of our most important asset OURSELVES. Our performance depends on our physical and mental health, so make sure you are scheduling in the time to perform those necessary tasks that keep your mind and body feeling the best. Adequate Rest: This, of course, starts with a good bedtime routine. But did you know, science says that napping can boost afternoon performance! There is lots of evidence that napping can help with memory, focus, and overall well-being. You might want to consider making napping part of your routine too, but don’t just take my word for it. Exercise: Yeah, yeah, yeah, exercise is the word on everyone’s lips when it comes to health, but hey, maybe there is a reason for it. Find what works for you and figure out how to make it a priority. I struggled with getting into a fitness routine until I bit the bullet and signed up for a pilates studio membership. I have to sign-up for classes, and if I miss a class I’m charged, so that is enough external motivation to make it a priority in my day. It’s so easy to let exercise slip through the cracks as a business owner. Mindset: Mindset plays a huge role in motivation, which impacts productivity. You have to figure out ways to make sure you aren’t letting setbacks influence your day to day and staying on track in your business. This is one that I struggle with and have to work at. I don’t think there is one way or a right way to approaching productivity, and the standard way may not fit you, but working on how you work best will benefit your business. It can take time to figure out what works, and it can even change as things in your life and business change. However, I think all 6 of the above tips can benefit your productivity if you figure how to make them fit you. For example “eating the frog,” while the guideline mentions morning, maybe you aren’t a morning person, but it can still work for you. Instead of the morning you “eat the frog” as soon as you sit down to get to work whether that is 7:00 AM or 3:00 PM. So just figure it out, productivity is meant to be customized, and techniques are not a prison. 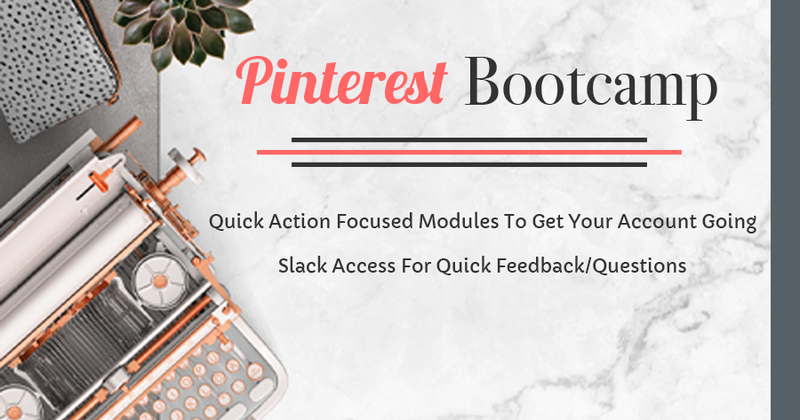 Want to up your productivity game further? Take the productivity quiz and get customized tips to address your main productivity struggles!